[OOO] Can I get your names please? Bobby and Kara check in at the Clinical Homesickness treatment center. 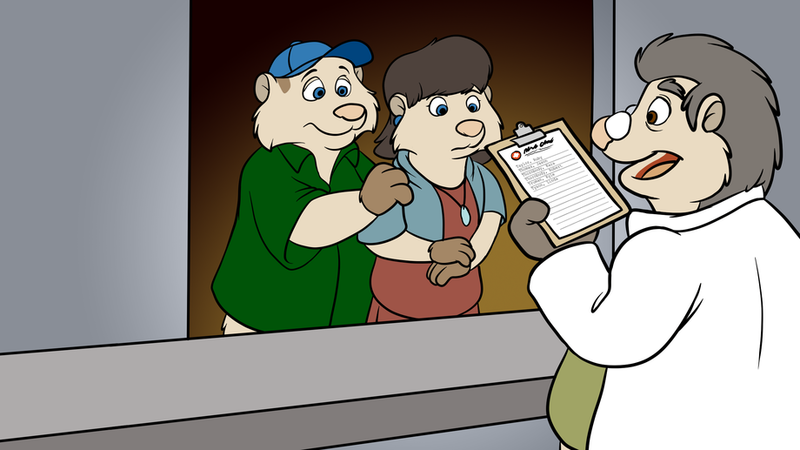 This image depicts a scene in Chapter 3 of On Our Own.